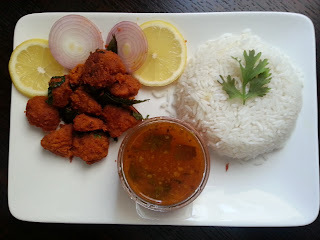 This is mom's recipe and I have been having this since childhood. 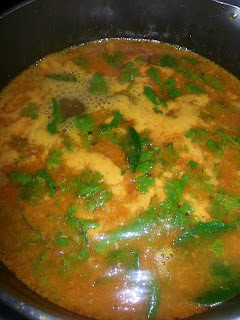 It is a very tasty rasam and easily prepared recipe and the same recipe can be used to prepare tomato rasam, lime rasam and pineapple rasam with minimal changes. 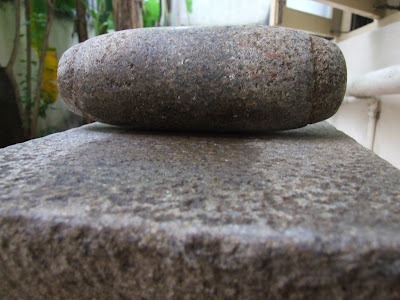 My mom even today crushes the masala for the rasam using a silbatta / ammikallu (black flat stone block with a cylindrical black stone) instead of a mixer. 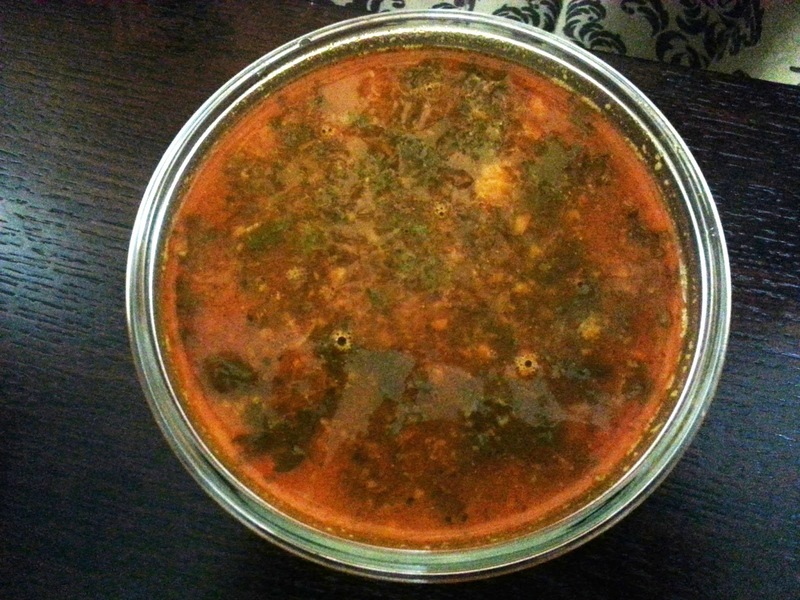 This rasam can be served as a soup or with steamed rice. Very basic and simple ingredients are used in this rasam yet it is so flavorful and tasty. 1. 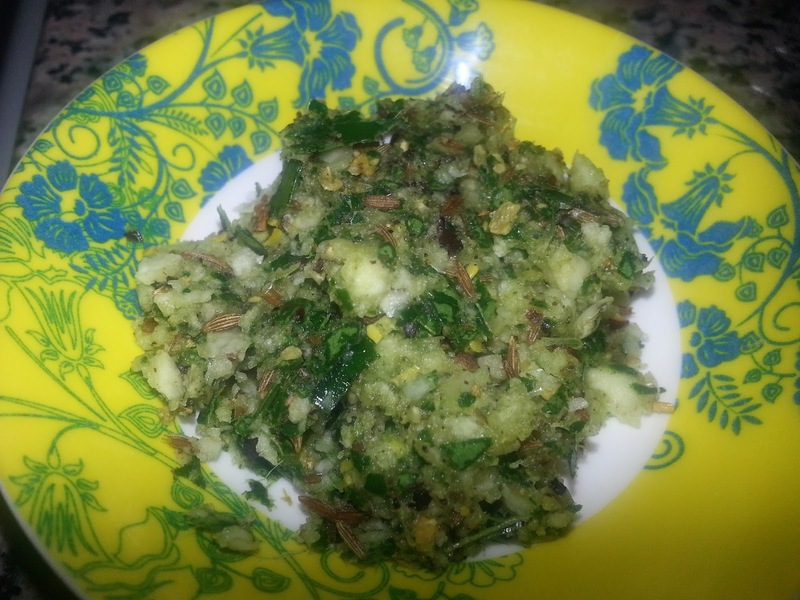 In the small jar (chutney jar) of a mixer, add garlic cloves, peppercorns, cumin seeds, fenugreek seeds, 6-8 curry leaves and blend to a coarse mix. Keep it aside. 2. Blend the tomato to a fine puree. 3. In a cooking vessel or saucepan heat oil. Add the coarsely ground mixture and mix well. 4. Fry this without burning till it turns brown. 5. Pour the tomato puree and mix well. Let it cook for 2-3 minutes. 6. Add turmeric powder, salt, coriander powder and chilli powder (substitute chilli powder with pepper powder if desired) and mix well. 7. Add the lemon juice and let it cook well say for about 5-6 minutes. 8. Add water and mix well. Water is as per desired consistency. 9. Add curry leaves and coriander leaves. Reduce flame, cover and let it cook. 10. The rasam should not boil. When froth starts forming on the top keep a close eye. 11. 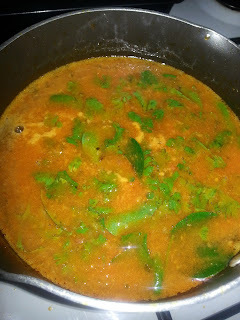 When froth has increased and the rasam just starts to boil, switch off flame. 1. 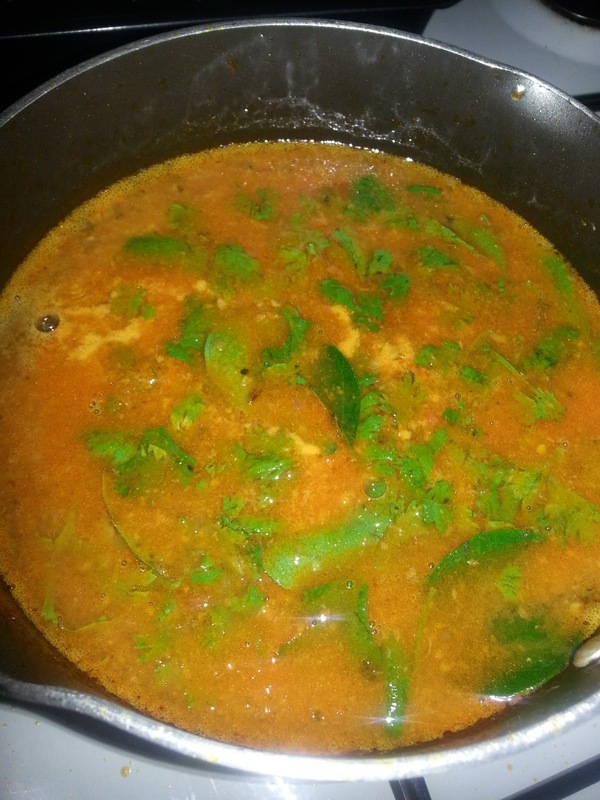 Add tamarind extract in place of lemon juice to make tomato rasam and lime juice to make lime rasam.